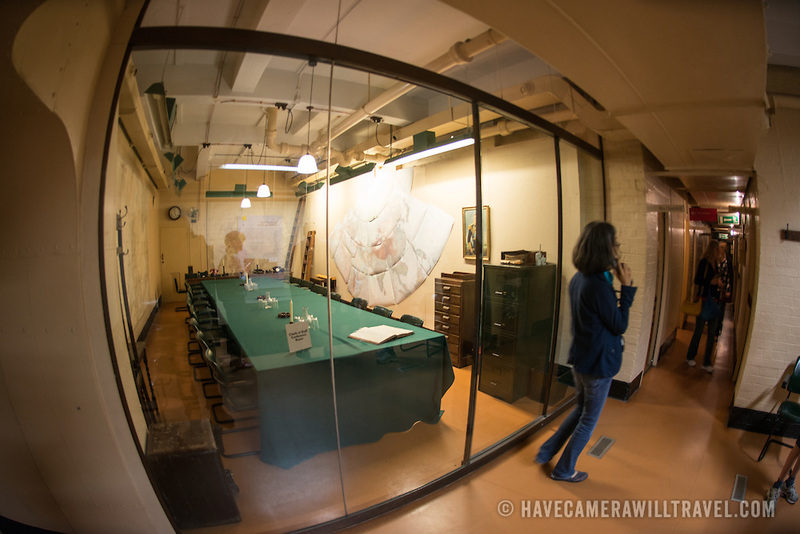 A museum visitor stands in front of the Chiefs of Staff Conference Room at the Churchill War Rooms in London. The museum, one of five branches of the Imerial War Museums, preserves the World War II underground command bunker used by British Prime Minister Winston Churchill. Its cramped quarters were constructed from a converting a storage basement in the Treasury Building in Whitehall, London. Being underground, and under an unusually sturdy building, the Cabinet War Rooms were afforded some protection from the bombs falling above during the Blitz.